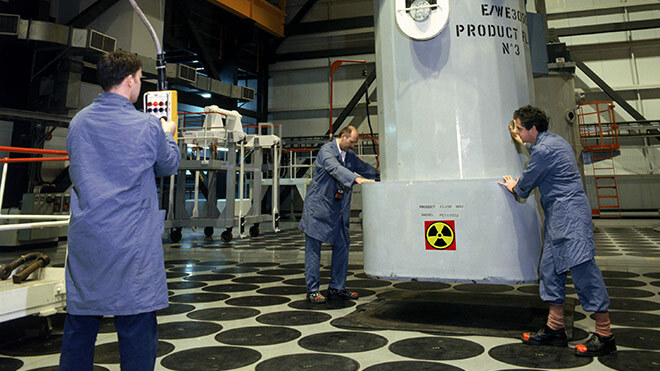 Government plans to bail on a pension promise to 11,000 nuclear decommissioning workers could end up establishing a dangerous precedent for pensions that many more of us rely on. There are many different ways of looking at the pension scheme your employer provides for you and your colleagues. At its heart it is a promise today to pay income in the future when the members of the scheme have retired. In order for any of us to have the confidence that’s necessary for pension schemes to work, these promises must have a strong legal underpinning. Anything that erodes any pension promise is bad news for all pension scheme members. Many pension schemes are operated under trust law which ensures that the relevant assets are held separately from the employer and are managed in the best interests of scheme members. Other pension schemes are operated under contractual arrangements that are governed by legislation that also ensures that assets are held separately from employers and that the pension providers are appropriately regulated. Legislation provides a safety net for pension scheme members through compensation from the Pension Protection Fund or the Financial Services Compensation Scheme if your employer or pension provider becomes insolvent and there is a shortfall in your pension pot. There is legislation that prevents employers from reducing the value of pensions built up in the past and that requires schemes to provide a minimum level of inflation protection in retirement. That’s only a very short description of just a small part of the statutory regime that has evolved over many years to underpin pension promises and give all employees the confidence they need to put their trust in pension schemes. A relatively niche category of statutory pension protection applies to some workers in privatised industries. While the circumstances and legislation differed in each case, in broad terms the employees concerned were promised a certain level of pension provision in the future in order to help make a success of the politically sensitive privatisation process they were working on. As pension promises go, these were some of the best. Unlike other promises that often relate to pension already built up, these promises gave a right to continue to build up a good level of pension in the future. However, the better the promise, the more expensive it can be to keep. So we come to the promises made to employees working on cleaning up civil nuclear sites run by the Nuclear Decommissioning Authority. For historic reasons, which are not worth getting into, workers on these sites are covered by pension protections granted under legislation passed either in 1989 or 2004. When work on these sites was transferred to the private sector, the employees working there at the time lost access to the public sector pension scheme they belonged to. Realising that this could impact on delivery, government promised employees that they would be entitled to an equivalent alternative pension scheme. Parliament enshrined this promise in legislation. For many years, the employees concerned have kept to their part of the bargain and helped make a success of the transfer to the private sector. So you can understand their shock when government recently announced that it wants to rip up those promises and cut their pension benefits. Government has made a number of excuses for why it is reneging on these promises (from fairness to affordability to sustainability) but nobody is fooled. The real motivation is, obviously, the significant cost savings that government thinks it can get away with it. These proposals only directly affect about 11,000 employees (of the 16,000 or so working on these sites). But it should concern anyone with access to a pension scheme or who is currently drawing a pension. If government can brazenly change this piece of legislation in order to renege on its pension promise, then how can anyone be sure that any of the legislation we all rely on will be around to protect us when we need it? So this may not be about your pension now but it could be your pension that’s next in line. If you want to show support for the employees facing this threat, please sign and share this petition. There is also an Early Day Motion about this; you may want to encourage your MP to sign if they have not already done so. Neil Walsh is a pension officer working for Prospect, a trade union representing members in professional and specialist occupations across the public and private sector. Spot on! Can’t afford to let this go unchallenged. Excellent article, lets hope government see sense before the need for industrial action! Although this article excludes what the changes actually are, it seems fair to me. Getting a normal pension like normal workers, instead of a golden pension. I deliberately wrote about the principle rather than the technical detail of the proposed changes because I think that is more relevant to a wider audience. I’m sure other people will agree with you that reneging on these promises is fair – but would you think the same if an equivalent promise to you was broken? Reneging on pensions is an act worthy of Robert Maxwell and Philip Greene. Not something a government should be doing for a relatively small saving. Wouldn’t it be better for the government to try and reduce the estimated £4 billion cost of EU pensions associated with leaving the EU? This is an unwarranted attack on nuclear workers pensions, and could well be the start of another slippery slope… The workers affected have been ‘tricked’ into staying in the NDA estate and defuelling/decommissioning the Magnox stations, when presented with the option I find it very unlikely that EDF workers will choose to remain in the industry so who will deal with the legacy of the AGR stations? This doesn’t affect me because I will be retiring before it comes into force, so I can be objective in my response. However, to be asked to increase pension contributions from 6% to 9% of salary and to have your retirement age increased by 4, 5, 7 or 8 years (depending on your current/future retirement ages) so the pension scheme pays out less is a pretty drastic proposal. What is the Government doing to cut the costs of MPs’ pensions? I’m in the same position as Barry Brent but I totally agree with his comments. The workers will be paying much more for even less! Very good article Neil. Although I am a retired Magnox employee I feel very strongly about the NDA / Government reneging on the Legislation of 1989 and 2004. I remember when we went into the decommissioning phase the NDA were vocal about the assets in the industry whilst always saying that our best asset was the Magnox staff. I am sure that the progress and successes in decommissioning since 2004 have been because of that great asset. It is very annoying to think that this has been lost over that time and the NDA are not protecting that asset. To ensure continued successful and safe decommissioning of the sites our professional, dedicated and responsible staff must be supported through their working lives and into their retirement. Think again NDA. A promise is a promise. I thought the UK was built on people doing what they said they’d do. Certainly despicable to attempt to reduce a person’s pension at a point when they don’t have enough career left to counter any reduction.